For our team Tandem Parquets successfully ended the tournament “Winter-2017” Metalist League. 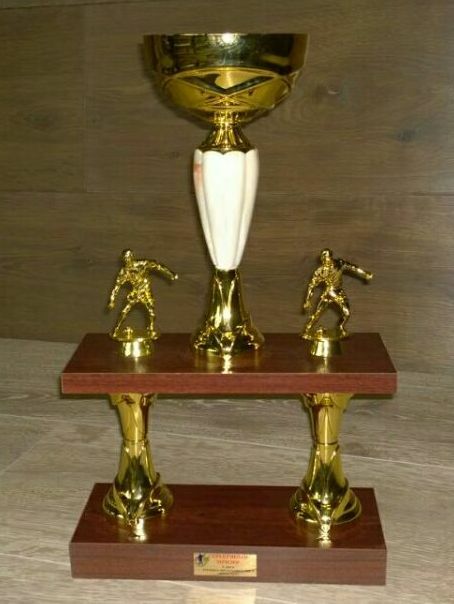 Footballers have become silver medalists of the regular draw of the Fifth League. The team managed to earn 23 points, only 4 points losing to the winners of the competition. For such an achievement, the team was awarded the Honorary Cup and silver medals. In addition, the scorer of the team Dukhno Nikolai became the best scorer of the league, scoring 18 goals in 14 games. The achievement of the goalscorer was marked by a memorable cup. The whole staff of the enterprise congratulates the players with this achievement, I wish to reach even greater heights!